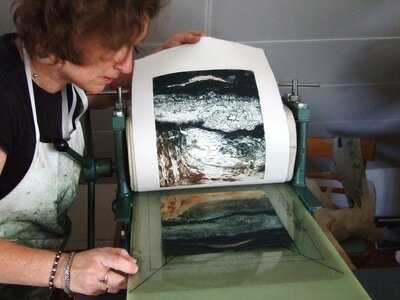 I offer printmaking and mixed media workshops at venues in Leighton Buzzard, Dunstable, Berkhamsted and Milton Keynes. 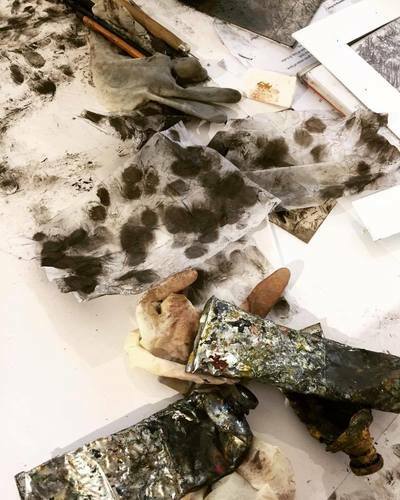 I teach a variety of techniques, and keep class sizes small, so you'll receive personal attention whether you are just starting out in printmaking or an experienced artist. All materials are provided so you can just turn up with your ideas and enthusiasm. 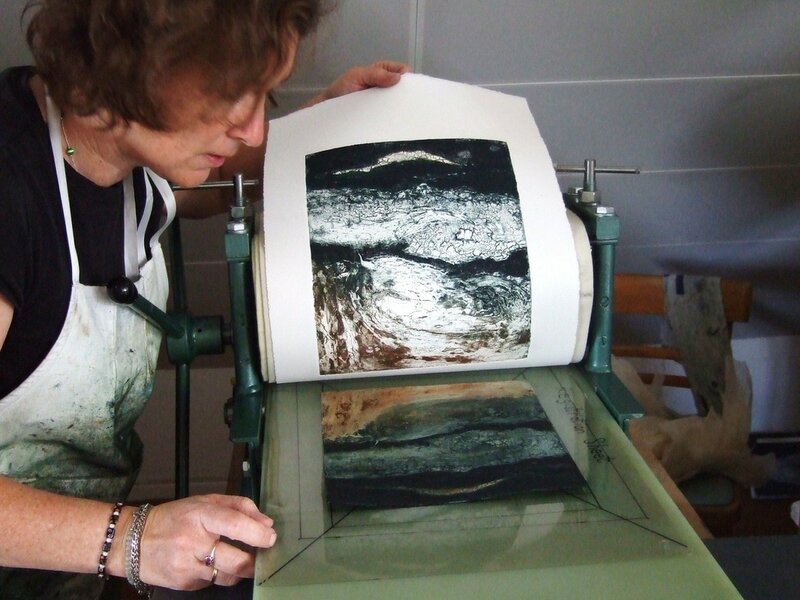 Develop your skills and learn something new in Solarprinting, Drypoint, Monoprinting, Collographs or combinations of these techniques. Please contact me to discuss the type of workshop you would like. Workshop dates are listed here. ​Visit my Workshop Descriptions page for more detailed information. Please contact me using the contact boxes above for Leighton Buzzard workshops. Alternative dates for workshops can be arranged with a minimum of two participants. 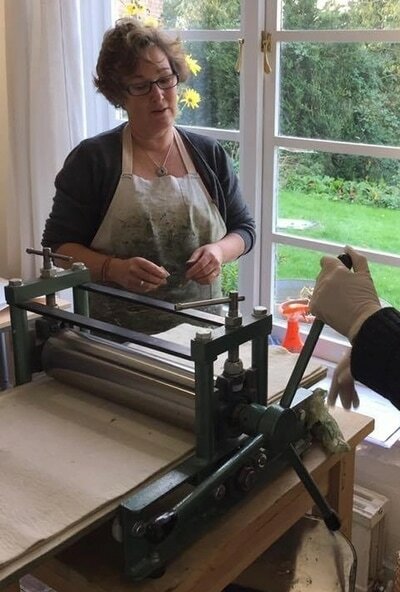 Drypoint with chine colle - Leighton Buzzard, Thursday 27th September 10am -4pm £ 60 Inclusive. 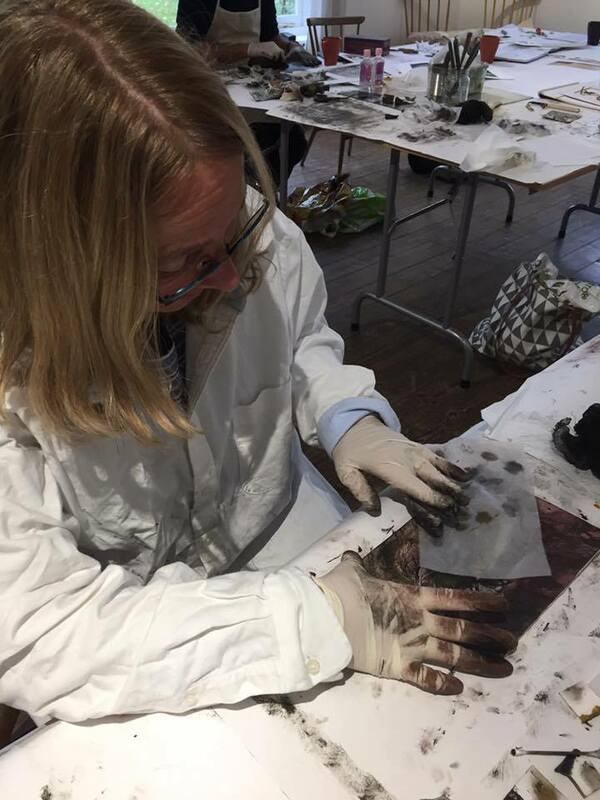 Monoprinting with found objects - Leighton Buzzard Monday 9th July 10am -4pm £ 60 Inclusive. Sign up if you'd like to be notified about my news and future workshops. I am happy to bring my equipment to your venue if you would like me to deliver a workshop for your staff, customers or artists group. Please contact me to discuss what you would like. I run a variety of School Art Workshops. Please contact me for more information.